The VA Showcase is once again slated to be the best meet in the entire nation. In 2017 we saw 11 US #1's, two national records, and a staggering 33 different VA Showcase athletes win indoor national titles in 2017 alone! This year has somehow gotten even better. 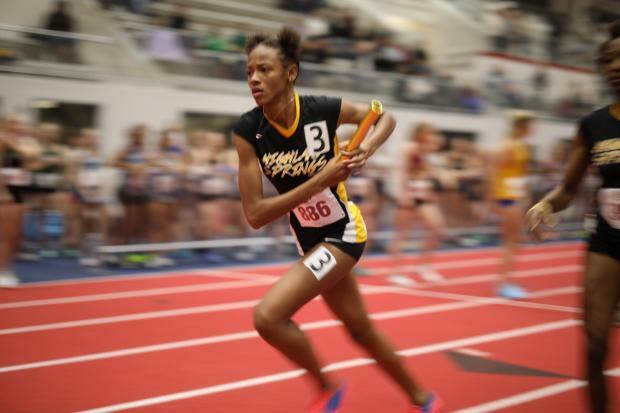 This meet carries an NFHS International sanction for the following locations: Virginia, North Carolina, Maryland, Delaware, District of Columbia, New York, New Jersey, Ohio, Pennsylvania, and Jamaica. Registration is open until Sunday January 14th at midnight. The meet's schedule is below. As of right now (1/13/18), the only events with spots open for AAU events are the Girls 800, Boys Elite Mile, Boys DMR, and Boys 1000m Run. To run in these events, which count as and are in a totally separate meet, athletes must register via their club on the registration page here. Before competing athletes must have an AAU 2018 membership card and cannot compete in school uniform. These times will not count towards NFHS or VHSL qualifying.